Changi City Point is a new mall that is opened opposite of Expo MRT. As an Eastie, a new mall in the area is something worth checking out! There are many restaurants opened there which I would slowly visit and share with you guys soon! Today, I'll be sharing my visit to Eggs & Berries! 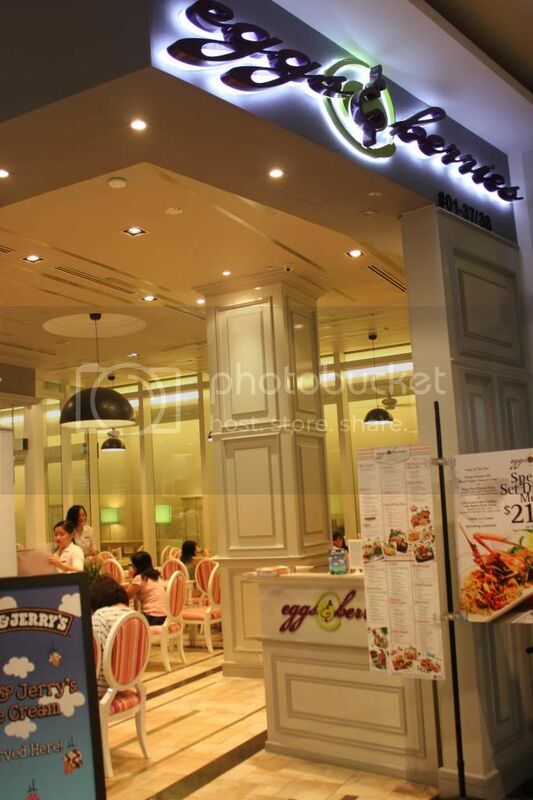 It is set up by Food Junction, commonly known for its Food Court branches in malls. Eggs and Berries presents an All-Day American-styled Breakfast. We were there on a Sunday morning and the restaurant was packed with families. What was heartening was that families came in large groups with the young and old all gathering for a breakfast together. We were seated indoors and was introduced to the specialties available. 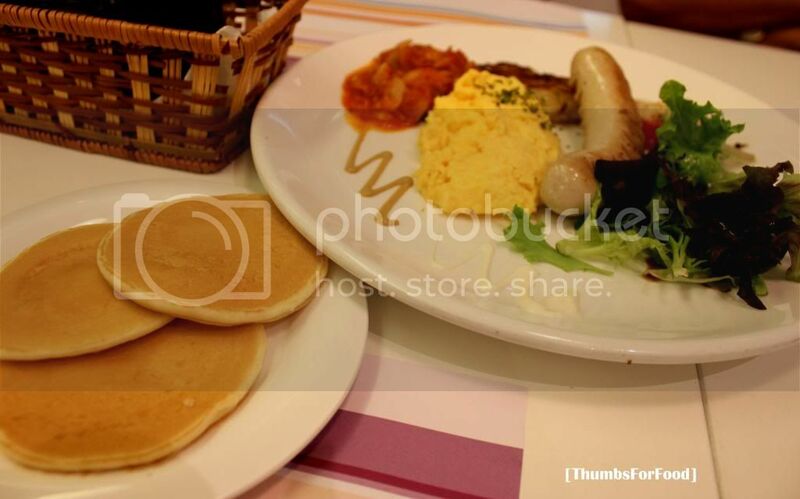 For the Breakfast Sets, they would ask whether you would prefer pancakes or rice with it. Naturally, we opted for pancakes. The waitress then gave us a few bottles of sauces that we could top on our pancakes. Having heard much about the Eggs Benedict, I decided to give it a try! 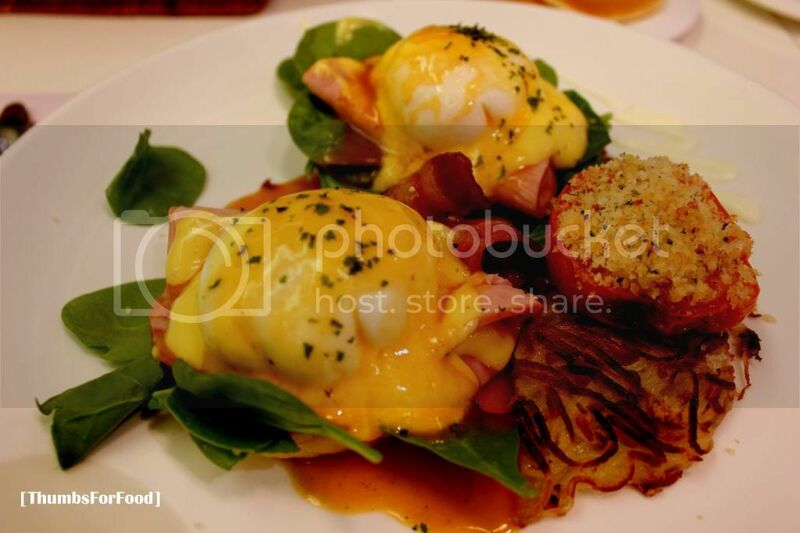 I was pleasantly surprised to see my Eggs Benedict was served with Rosti! As you can see below, the portion is quite huge. The eggs were poached well. The Hollandaise sauce was generous! What could be better improved probably would be the ham because the ham was cold relative to the eggs, bacon and muffin which was kind of weird. Pan-seared smoked chicken with a choice of your style of egg was average. 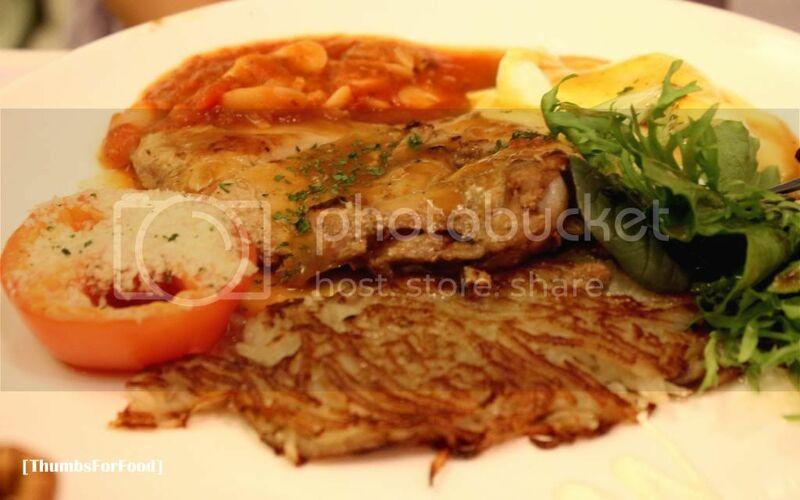 The portion is huge with Rosti and pancakes, enough carbo to fill the tummy. The chicken was alright, really nothing to rave about. Maybe they could have infused some berries into the sauce to make it more unique? Veal sausage and eggs was chosen as one of our dishes because it looked delicious on the menu. It was similarly served with pancakes. The scrambled eggs were well-cooked as it was not too dry nor too runny. The veal sausage was really nothing special. I don't think I will choose this dish again because there really is nothing unique about it. Overall, dining in Eggs and Berries was quite a good experience as waitress was friendly and they refilled our water promptly. Eggs wise, they really do cook it well. Taste wise, nothing too special. The plus point is that the portion is huge as compared to many other brunch places. Prices are reasonable. You would not need to be afraid that you might need another serving of food at noon. 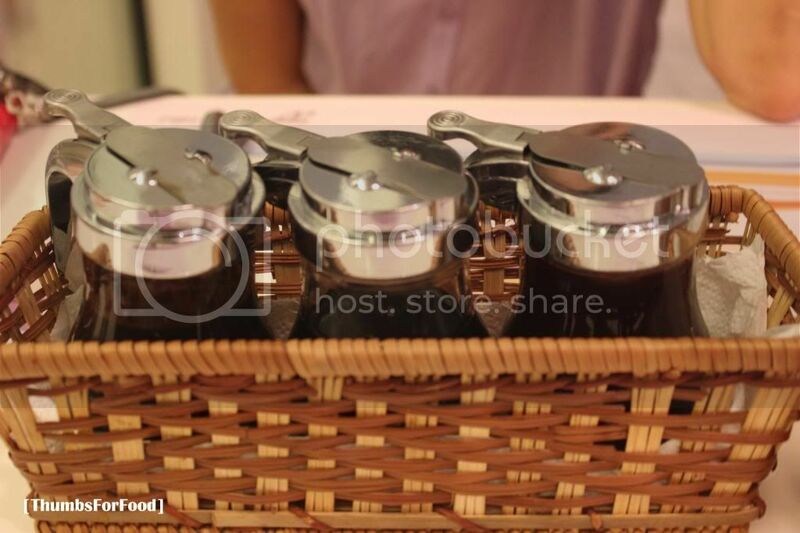 I think I will be back to try its waffles and sweet brunch choices!